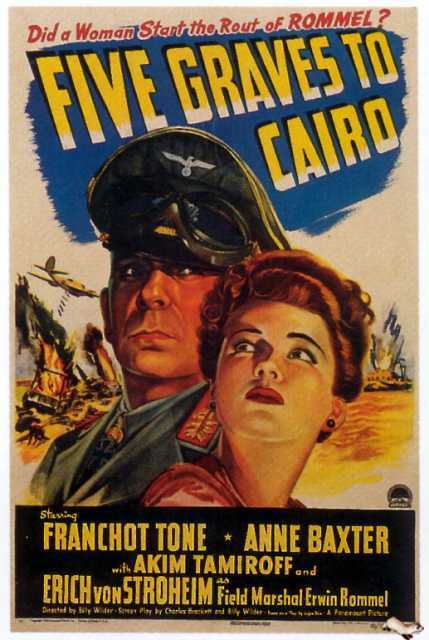 Five graves to Cairo is a motion picture produced in the year 1943 as a USA production. 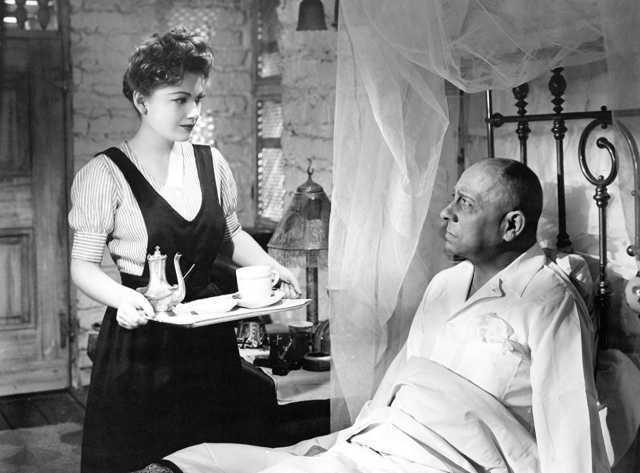 The Film was directed by Billy Wilder, with , Anne Baxter, , , , in the leading parts. 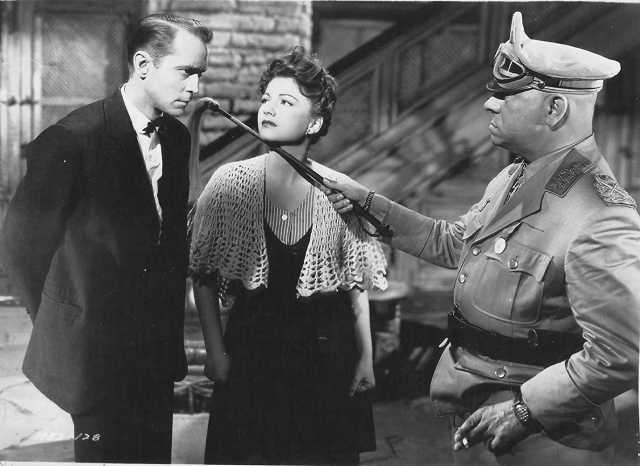 We have currently no synopsis of this picture on file; There are no reviews of Five graves to Cairo available. Bibliography - American Cinematographer, June 1943, pg 215. - Film Daily, 4 May 43, pg 8. - Hollywood Reporter, 19 January 1943, pg 2. - Hollywood Reporter, 26 January 1943, pg 2. - Hollywood Reporter, 27 January 1943, pg 6. - Hollywood Reporter, 25 February 1943, pg 8. - Hollywood Reporter, 26 February 1943, pg 8. - Hollywood Reporter, 4 May 43, pg 3. - Hollywood Reporter, 19 May 43, pg 2. - Hollywood Reporter, 1 June 1943, pg 4. - Motion Picture Herald, Product Digest, 8 May 43, pg 1301. - New York Times, 27 May 43, pg 21. - New York Times, 30 May 43, pg 3 (sec 2). - Variety, 5 May 43, pg 8.